Lifta is one of the last remnants of the Palestinian villages that were abandoned in 1948, during the war that created the state of Israel. It embodies shared Palestinian and Israeli heritage, being both an ancient Palestinian village in the west end of Jerusalem, and part of the history of Jewish immigration from Arab countries. Despite Lifta being declared a natural reserve in July 2017, the Israeli government is planning to push through a property development of 200 luxury houses, mainly destined for American millionaires. 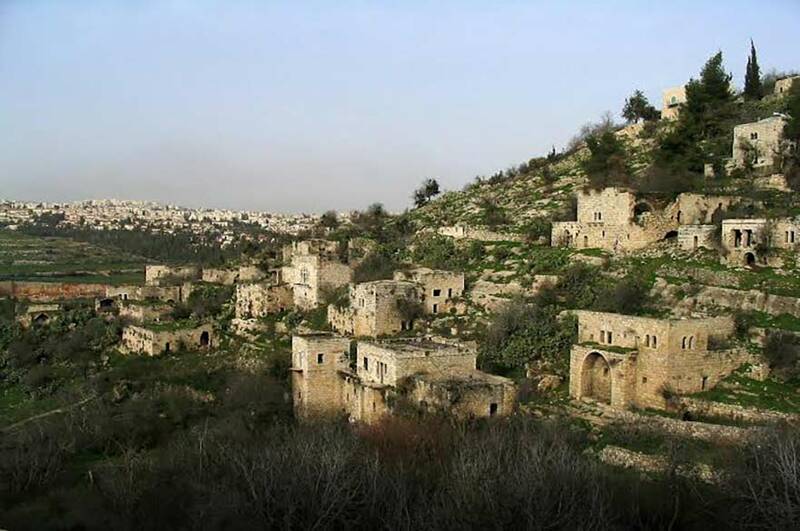 This development has already been challenged in a court case four years ago by the Save Lifta Coalition, which fights for the preservation of the village because of its symbolic value. The Israeli government states that the conservation costs for the now-abandoned village are prohibitive. However, the Save Lifta Coalition considers this a political attempt to “obliterate the remnants of the last abandoned Palestinian village, and give a handful of millionaires one of the most beautiful nature reserves in Israel”. Dr Riganti is a Senior Lecturer in Real Estate, School of Architecture and Built Environment, Nottingham Trent University. Dr Riganti’s research focuses on urban sustainable development and on the assessment of urban policies related to cultural heritage conservation, heritage management, cultural diversity and sustainable cultural tourism. She is a member of two ICOMOS International Scientific Committees: on Economics of Conservation and on Energy and Sustainable Development. The Save Lifta Coalition has recently brought the case to international attention after campaigning to include Lifta in the 2018 World Monuments Watch, which lists the 100 most endangered sites in the world. In order to help save Lifta, the Vice President of the World Monument Fund, Lisa Akerman, has contacted Dr Patrizia Riganti to assess the costs and benefits of conservation versus the luxury development option. The Save Lifta Coalition is working with Dr Riganti to raise funding for the research. The Italian Embassy in Isreal had initially offered financial support but the research team is looking for more sponsors. Dr Riganti has worked for decades on the development of economic valuation techniques to assess the benefits of conservation options to support decision-making. The conservation option has great social benefits in this case, which is a high-profile example of how investing in conservation might help the peace-building process in one of the most contested and politically unstable regions in the world. The impact of this research is high. It is a perfect, real-life case of how to assess the economic costs and benefits of conservation versus development. In the face of aggressive development, the destruction of shared heritage is a political act that might destabilise an already fragile social equilibrium. The conservation option has great social benefits in this case, which is a high-profile example of how investing in conservation might help the peace-building process in one of the most contested and politically unstable regions in the world.